Continuing education with Gina Silvestro! I figured that since I am going to be in Rhode Island anyway, I might as well take the opportunity to take this class from one of the people I admire in this industry! I am hoping to learn a tons of new things from her. I did get to see her at The High Road to Education (see more info on it here http://seriouslynails.com/?p=4369) in Las Vegas and it whet my appetite for more instruction with her. 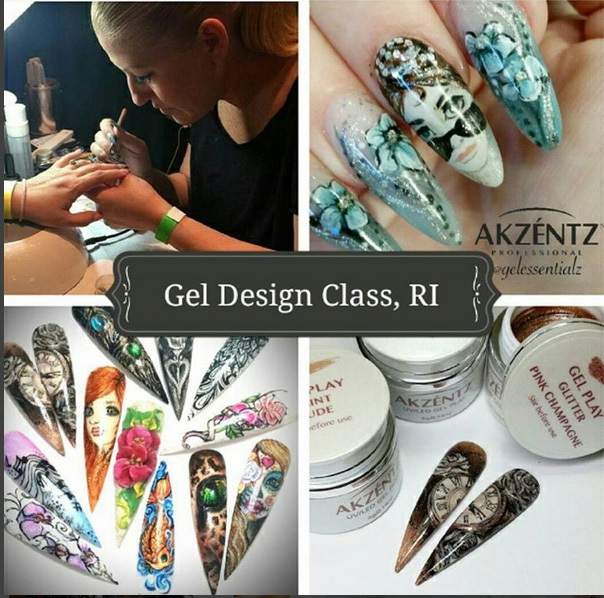 I also adore working with Akzentz Gel Play so this will really be fun for me.